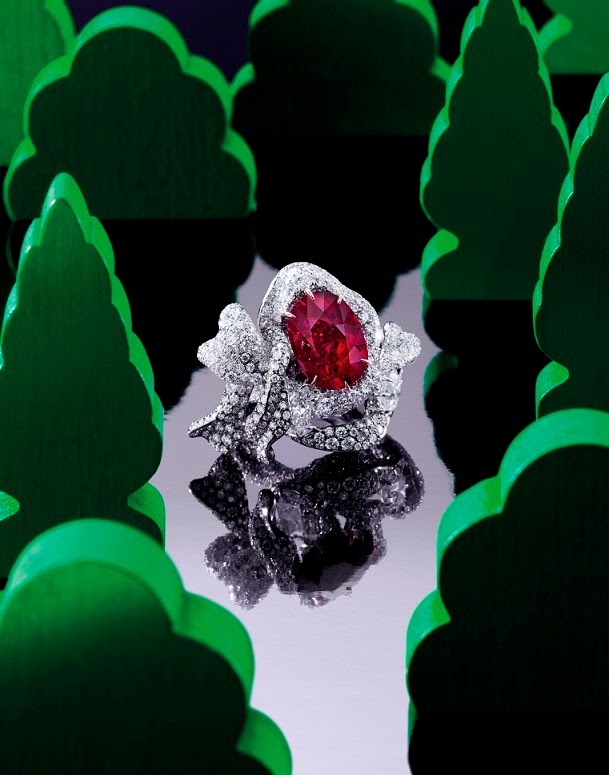 Sotheby’s Hong Kong celebrates this monumental anniversary with the Autumn auction that broke over ten sales records in contemporary art.The highlight of the evening included the sales of a 8.03-carat “Pigeon’s Blood” Burmese Ruby ring designed by renowned jewellery artist Cindy Chao during the Magnificent Jewels and Jadeite Autumn Sale. Following fierce bidding between renowned collectors, the ring was sold for $USD 3.84 Million (HKD 29.8 Million). The sale of this ring sets precedence and a record price for the most expensive contemporary art jewellery piece ever sold in Asia. 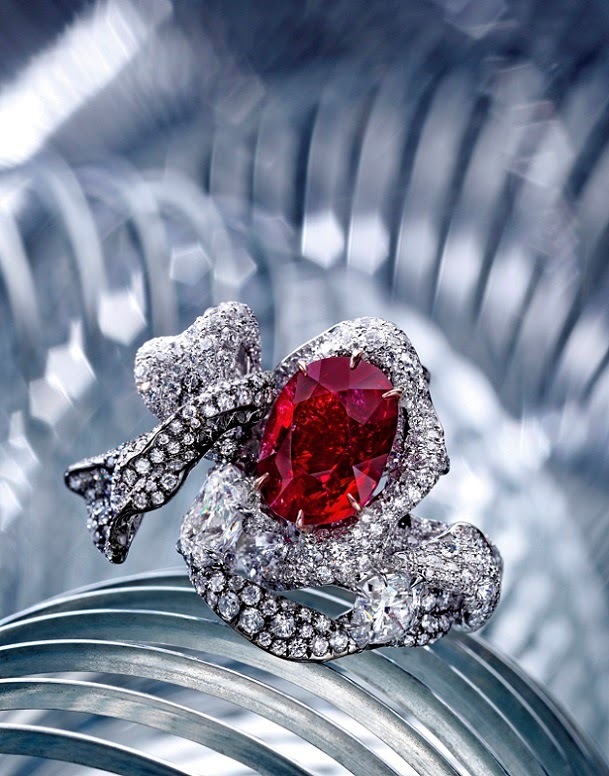 Sotheby’s invited Chao to design this 8.03 carat cushion cut, unheated Burmese “Pegion’s Blood” ruby ring. This ring is the 19th piece from Chao’s 2013 Black Label collection.The near-flawless “Pegion’s Blood” Burmese ruby sparks with an intense hue of rouge. The unheated gem is truly a rarity and is a precious gift from Mother Nature.